This simple weeknight dinner will take you less than 20 minutes from start to finish. 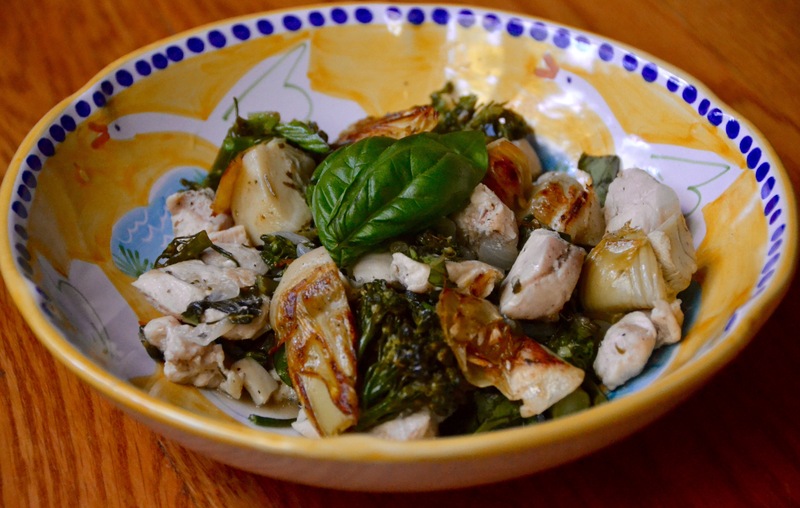 All you need to do is sauté the chicken, toss it in a quick pan sauce and stir in some flavorful artichoke hearts and sweet basil. I also added broccolini to the mix to make this an all-in-one bowl meal.